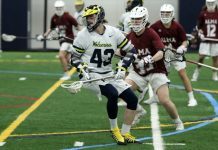 The Wolverines entered the contest with a record of 4-1, but were coming off their first loss of the season against Indiana University South Bend. After a heavily contested first half, the Wolverines found themselves trailing 35-34 entering halftime. 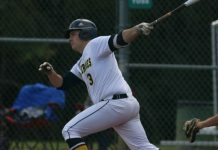 UM-Dearborn took control in the third quarter, outscoring the Saints 19-11. Sophomore guard Ro’Zhane Wells led the way with seven points in the frame. The fourth quarter was a back and forth affair, but the Wolverines were able to hold on and win 72-65. The win marked the first time UM-Dearborn women’s basketball has beaten Siena Heights since 2009. The Wolverines were led by junior guard Sade Lemons’ impressive performance of 17 points, nine rebounds, and a block. Wells added 17 points, three assists, and two steals. Junior guard Laekyn Jaciuk came off the bench to add 13 points and five rebounds. The Saints outscored the Wolverines in the paint 32-22 and won the rebounding battle 41-40. They were led by junior forward Kiana Votava’s game-high 20 points. She also had five rebounds and went 8-8 from the free throw line. Another notable performance was by senior forward Alyssa Larson, who had 15 points and nine rebounds off the bench. The win moves the Wolverines to an impressive 5-1 on the year. 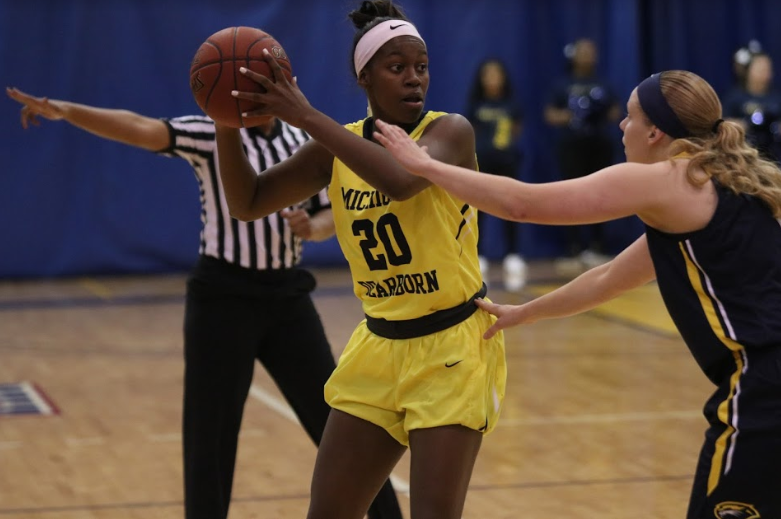 The University of Michigan-Dearborn women’s basketball team continued weekly play Saturday against the Saints of Aquinas College in Grand Rapids, Michigan. Aquinas got ahead 23-9 early in the first quarter. 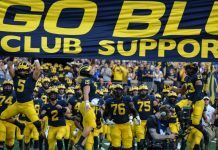 The Wolverines were able to rally and only found themselves down 38-36 at halftime. The third quarter was a back and forth affair, but the Wolverines gained a 53-50 lead entering the final quarter. 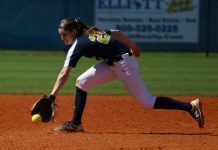 The fourth quarter was dominated by UM-Dearborn as they outscored the Saints 11-4 and won the game 64-54. The Wolverines shot an impressive 8-20 from three-point range and 16-16 from the free throw line. They also got 12 steals. They were led by junior guard Sade Lemons’ game-high 21 points. She also had four rebounds. Other notable performances were by senior guard Natalie Spala, who had 11 points and five rebounds, and sophomore guard Ro’Zhane Wells, who added 10 rebounds. The Saints won the points in the paint battle 28-16. They were led by senior center Michaela Faber, who contributed 14 points and nine rebounds. Senior Bri Spica added seven points and four rebounds. The win improves the Wolverines to 6-1 on the year. They will next play the Racers of Northwestern Ohio on Tuesday at the UM-Dearborn Fieldhouse at 5:30 p.m. in another crucial WHAC matchup. Next articleCollege Bowl Games Announced/Picked by Editor, Spouse and YOU!